One of my favorite things to talk about is retirement. This is the time a lot of Canadians start slowing down, enjoying more leisure time (and perhaps doing the travelling they couldn’t do when they were younger). Retirement can be a wonderful time. Unfortunately, it can also be a struggle. For the next 15 years, about 1,400 Canadians will turn 65 every day. That’s a lot of new retirees. What will this do to our health care system? Will government pensions be able to handle this many people collecting Canada Pension Plan (CPP) and Old Age Security (OAS)? There’s a lot of uncertainty, which is why it’s important to plan for your retirement. 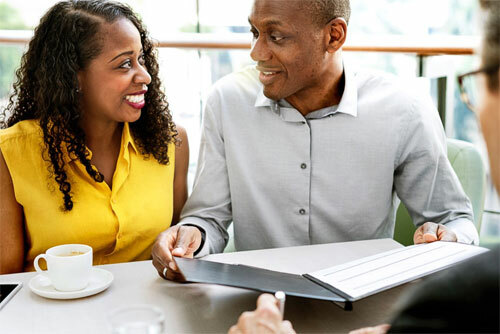 In the years leading up to retirement, you’re busy accumulating assets, using registered investment vehicles like tax-free savings accounts (TFSAs) and registered retirement savings plans (RRSPs), as well as non-registered accounts. Converting these assets to income can be confusing. You may be uncertain about the best solution. A lot depends on how much you’re able to accumulate in your working years and the level of guaranteed income you’ll receive from the government and your employer. Other sources of income can include real estate holdings and part-time work. Before deciding how to convert your assets to income, you need to have an idea of what you want your retirement to look like. Here are some steps you can take to help prepare you for retirement. The first step is to establish a retirement date. Even if you don’t think you’re able to retire, it’s a good idea to draw a line in the sand to help plan. Next, determine what type of lifestyle you’d like in retirement. Would you like to stop work completely or continue part time? Will you and your partner retire together? How will you spend your time? Will you take up a new hobby or travel? Will you do volunteer work? Once you’ve determined the retirement you’d like to live, you need to determine your basic living expenses (such as housing and food) and lifestyle needs (such as travel, entertainment and hobbies). Next determine where your projected fixed and variable income will come from. Multiple sources of income are recommended, such as CPP, OAS, pension and investments like registered retirement income funds (RRIFs) and life income funds (LIFs). You may need to convert some investments to an income stream, using income vehicles like RRIFs, LIFs or annuities. In many cases, $250,000 in assets may generate $10,000 per year in income, if it is well managed and invested properly. The type of investment you use will depend on your income needs and how much you’ve saved. In some cases, you may have to accumulate more money to reach your retirement date, otherwise you may have to delay your retirement. Surprisingly, few Canadians know how much CPP and OAS income they’re entitled to. Creating an online My Service Canada account can help you determine how much CPP income you’re on track to receive at age 60, 65 or 70. How flexible financially are you? Having flexibility in retirement is also an important topic to consider. Having a company pension is good, but what if the unexpected happens? For instance, what if your spouse became ill or you needed extra money to help your children? Could you manage these unexpected expenses on a fixed income? That’s why it’s good to have some extra cash or investments. Other things that can help with your financial needs in retirement are the cash value of a life insurance policy, as well as critical illness insurance and long-term care insurance. Equity in your home can help get you cash, but this should usually be a last resort. Having debt in retirement is something you should try to avoid. To have a more enjoyable after-work life, you should target getting rid of all debt, even your mortgage. This will not only reduce your stress level, it will also reduce your expenses in retirement. Should I continue to invest? I would recommend continuing to contribute to your investment accounts in retirement. This will increase your enjoyment level, and you never know what unexpected cost will arise. Better to keep increasing your net worth, so you can enjoy the finer things life has to offer. Consider that the Canadian government does not put an age restriction on contributing to a TFSA, and any money that grows in this account is tax-free. To help you plan for a more secure retirement, I have a lot of good income solutions. These include guaranteed income for life, to help you convert your investments to an income stream. Because I work with an insurance company, I can provide some products that banks can’t offer. In addition, I have access to good retirement planning tools, like HelloLife, that can help you see if you’re on track. Once you calculate the amount of income you need for retirement, then do a trial run to see if you could live on the income you forecasted. If you find you estimated correctly, then raise the level of income you need, to provide a little buffer. Remember, when people finally retire, don’t have a regular paycheque and have all that free time, many of them tend to spend more. When you’re ready to look at your retirement plan, I’m available to help. You’re never too young to plan. In fact, I hear a lot of young people say they would like to retire early. That’s totally possible. With good financial security planning and coaching, freedom at age 55 is possible!